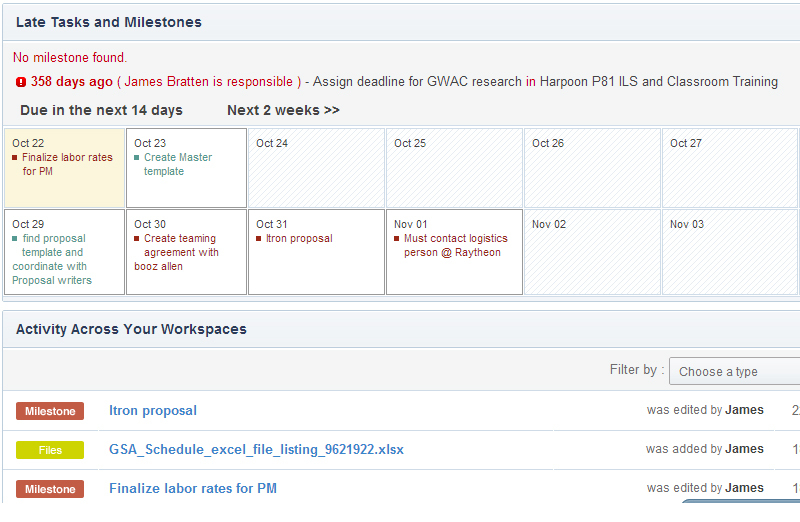 Find, track and isolate specific task orders by NAICS, agency, title, amount and/or planned task order end date. 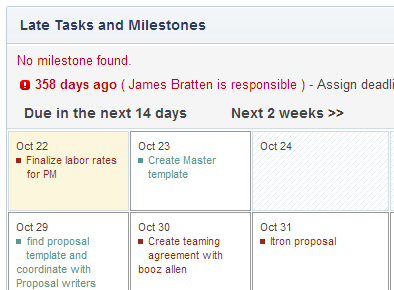 Analyze the different action-activity for each task order listed in date stamp order and manage specific task orders by adding to your File Cabinet. 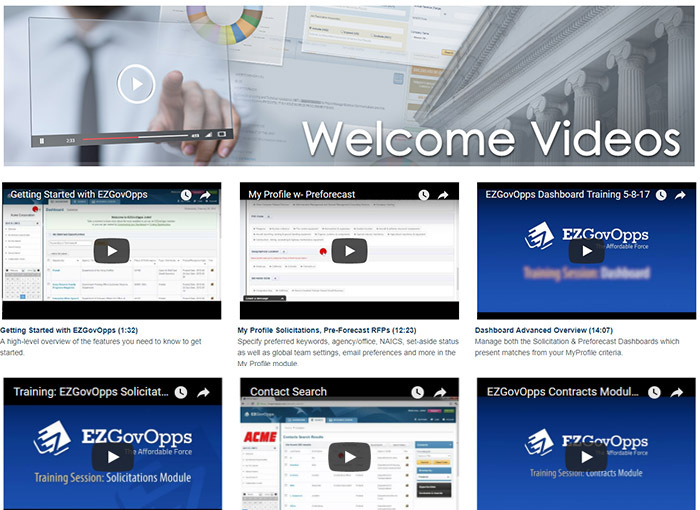 EZGovOpps offers top quality support that you and your team can depend on, including a live chat feature for quick assistance, FOIA request support, in-depth FAQs, educational videos and operational tips in every module, dashboard customization with an EZGovOpps support member, and live webinar training. 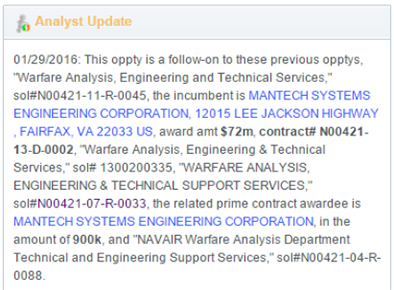 With a large analyst team, new high profile solicitations are updated daily with analyst updates, including current incumbents, past value and additional insights regarding new opportunities. 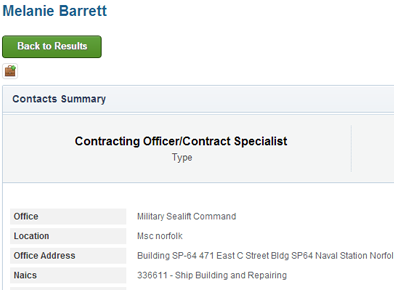 Create search queries for contract and award data and view the associated summary page for a complete view of the contract or award history. Members can track awardees under a specific schedule and or SIN. 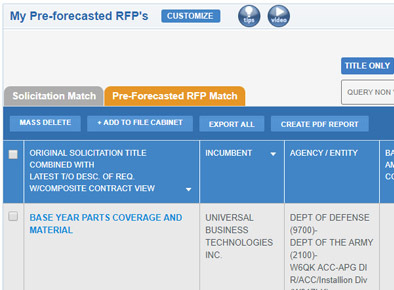 Via clickable links, navigate to the actual submission of GSA Schedule overviews of that particular vendor and have access to their registered labor pricing information. 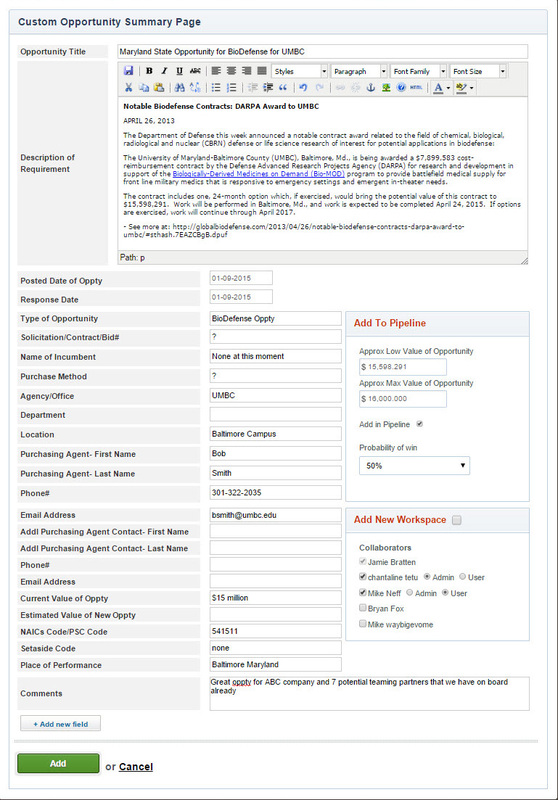 Individual members, as well as their entire team upon sharing their File Cabinet, will receive an automatic email alert regarding any modifications to saved Solicitations/Contracts or Awards (click to enlarge example of daily alerts). 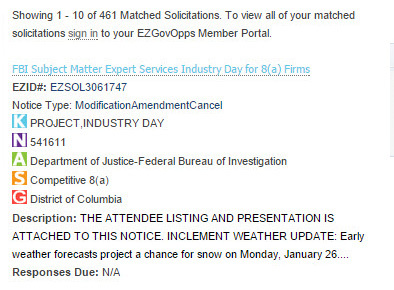 EZGovOpps has the industry's most comprehensive criteria matching that allows our members to find the companies that match the exact criteria they are looking for. 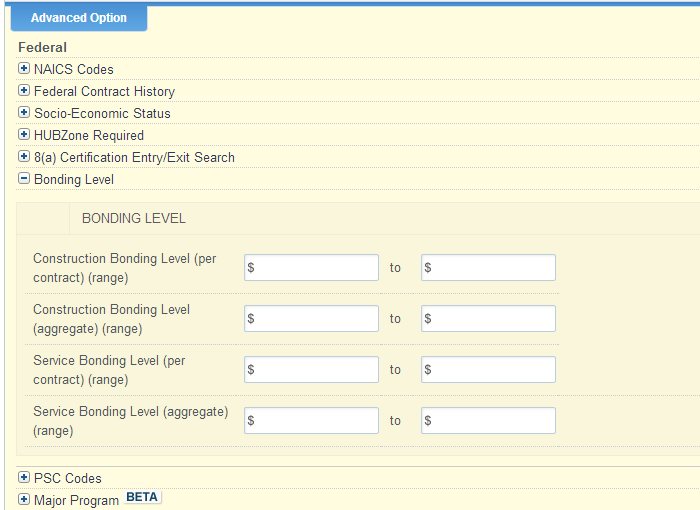 Search based on socio-economic status, 8(a) exit and entry date, bonding levels, and more. 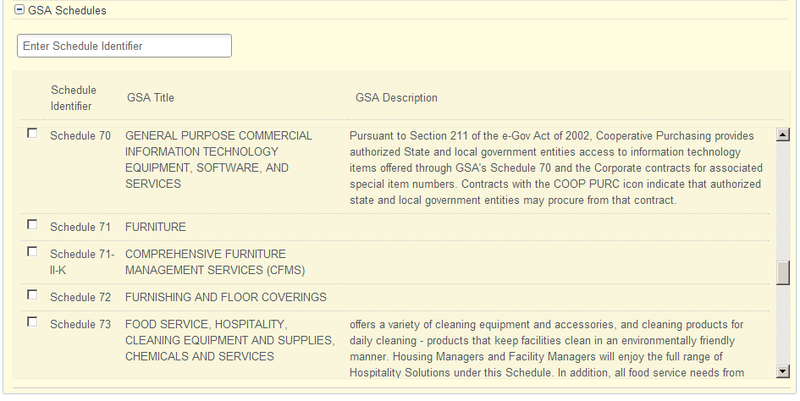 Search GSA Schedules quickly and easily and review contracts by individual company. 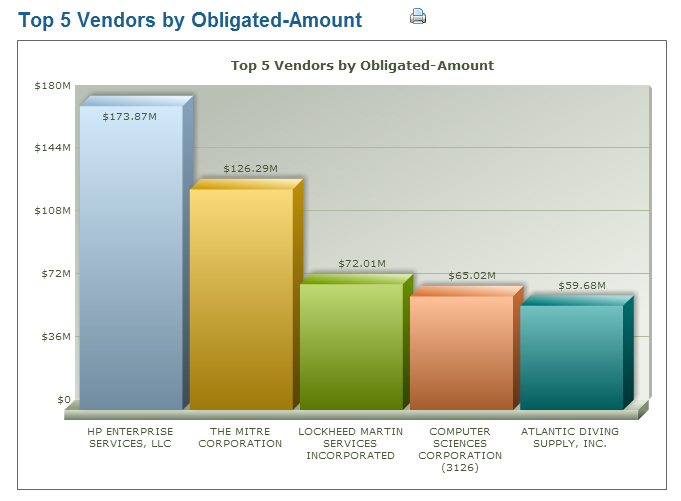 Examine the largest contract holders of GSA Schedules. 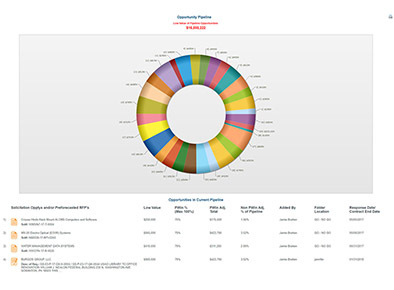 Experience the ONLY market intelligence tool that allows members the ability to search for primes and see all the subcontracts they have been awarded in the last 5 years. 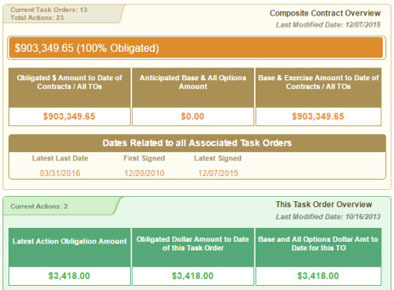 When reviewing prime contracts in the contacts module, all subcontracts awarded by the prime will be in date order with the awarded prime task orders. 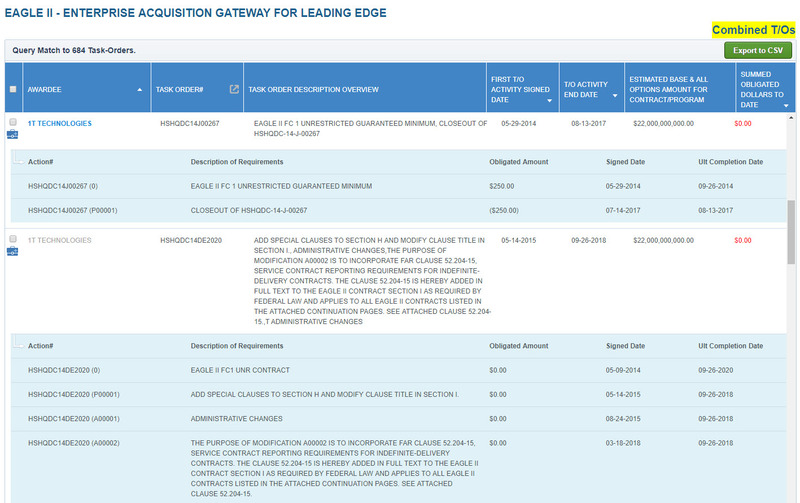 EZGovOpps presents the ability for members to search for buyers by NAIC’s code and see a reflection of all their “live” and past solicitations over the past ten years. If you have a unique set aside and can target the buyers who buy what you do, sole sourcing has never been easier. 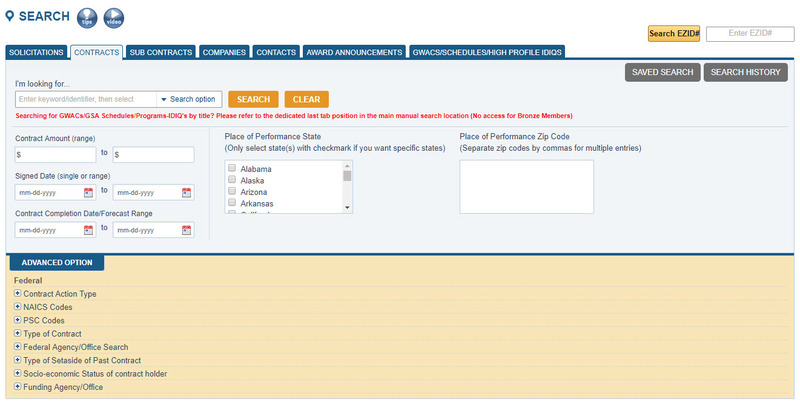 Analyze and track current and forecast labor rates for thousands of job titles and view detailed job descriptions. 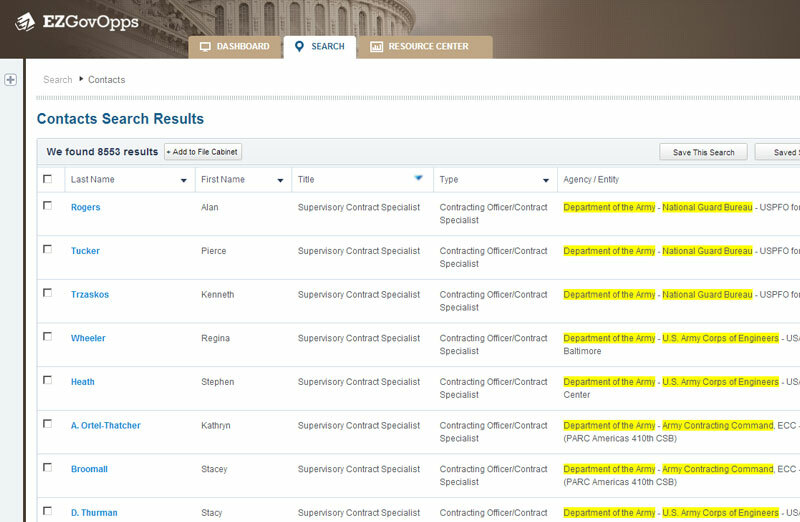 Search over 1.1 million government contractors to find teaming partners or perform competitor research. 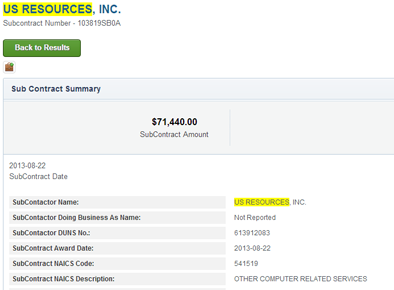 View related contracts on the company's summary page. 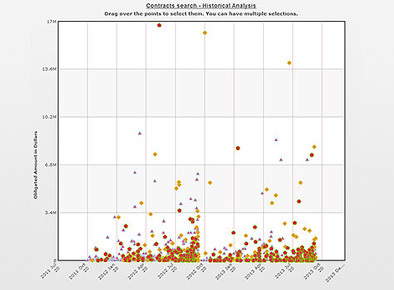 Find buyers by agency, sub-agency, location, and NAICS code. 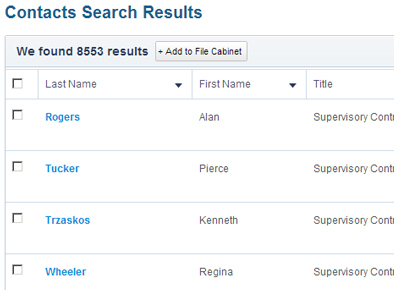 View the buyer's purchasing history and archive in your personal file cabinet to monitor their buying habits. 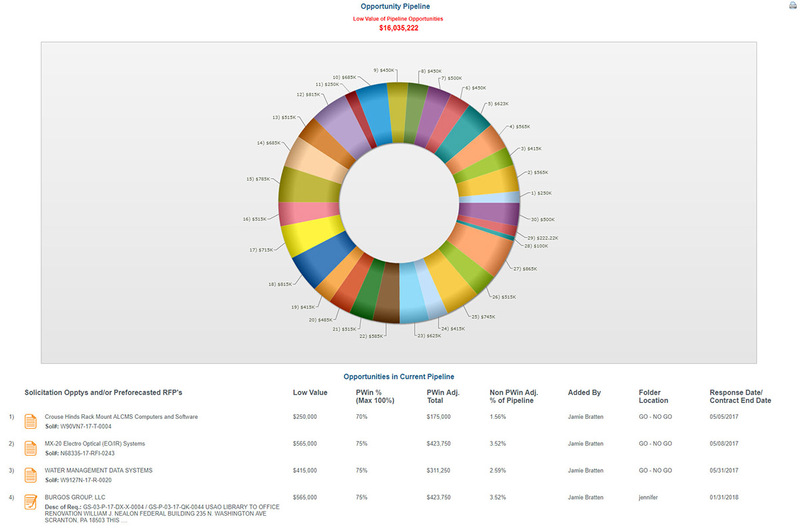 Visualize your Results with Custom Charts. 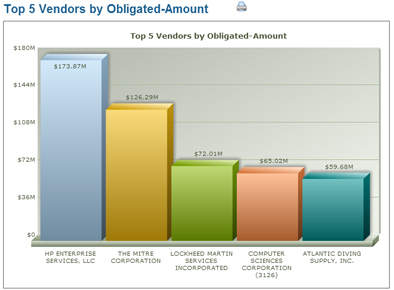 Access colorful bar charts that render based on your search criteria that identifies the Top 5 Contractors and Awardees. Print these charts as visual elements for team meetings or print as a PDF to send via email. View geographical charts based on place of performance with the ability to "drill-down" to the county level. 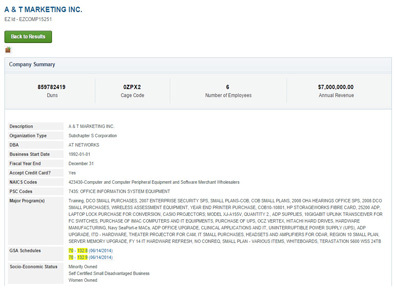 Reveal hotspots based on company data using set-aside search criteria, past contract history, number of employees, and annual revenue. 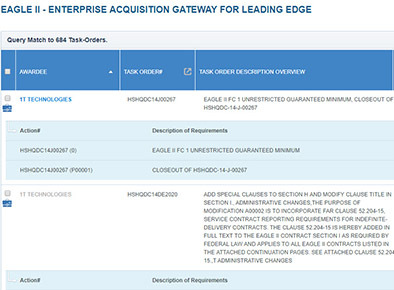 Discovering qualified government business opportunities has never been so easy. 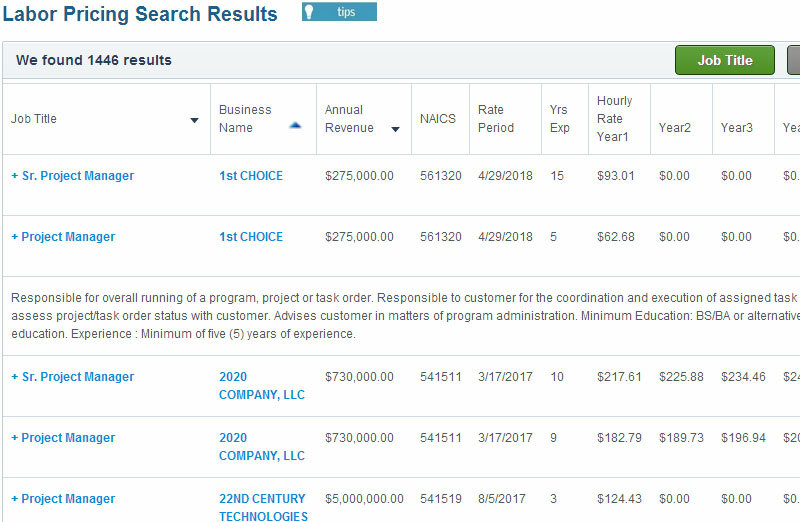 The EZGovOpps search module provides both simple and highly advanced options that allow you to find closely matched opportunities for your business. Narrow your funnel of results with many additional search refinement options. 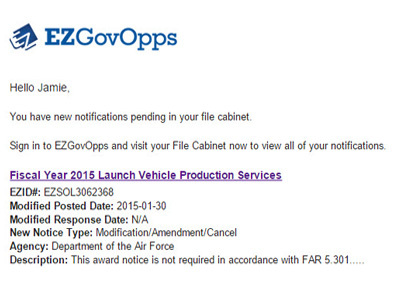 Save countless hours scouring government websites with custom EZGovOpps email alerts. Our membership receives daily opportunity alerts with the highest level of matched criteria at the top of the list. Specialized conditions for members to view the closest matches is based on their own personal (or team) "My Profile" criteria to ensure highly relevant opportunities. 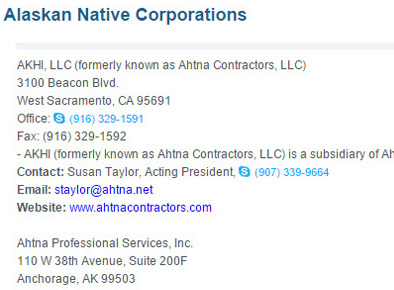 Intel on ANC companies has never been easier. 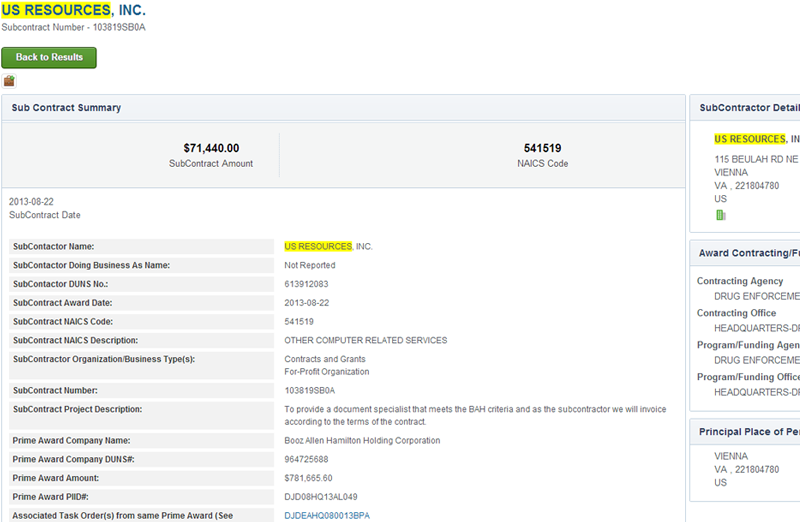 Find and track corporations, LLCs, etc. 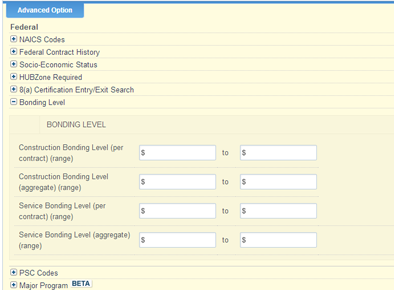 and gain access to contact and address information as well as specific intel (for Gold Plan members). 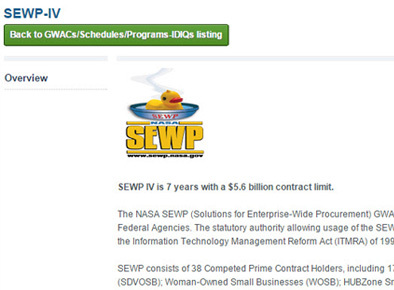 Access a vast array of information on programs such as SEWP, Oasis, Eagle II, and more. 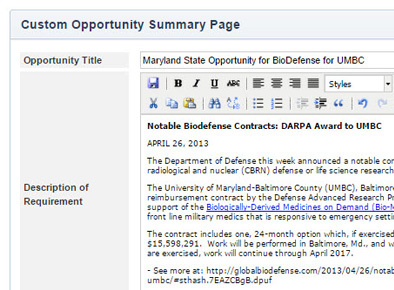 Overviews include contract value, duration, areas of scope, listing of awardees, contract numbers and other valuable info. 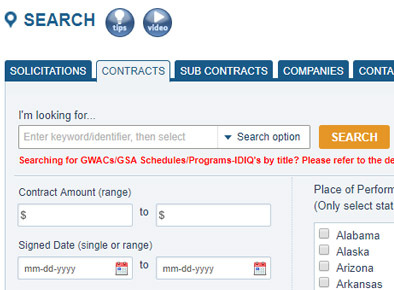 Users can easily search by awardee and see every associated task order and contract totals under each particular Program, GWAC or schedule. 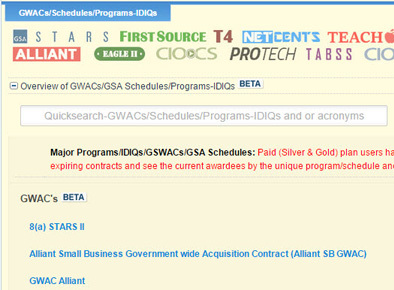 Search through hundreds of GWAC/GSA Schedules and Programs-IDIQs. 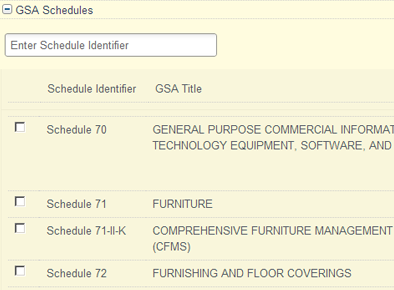 GSA schedules are broken down by SIN and lists each awardee by this indicator. 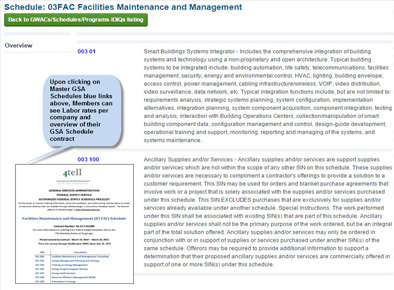 Interactive links are incorporated within the GSA schedule master listing page so members can click awardee links to see registered labor rates and contract information. 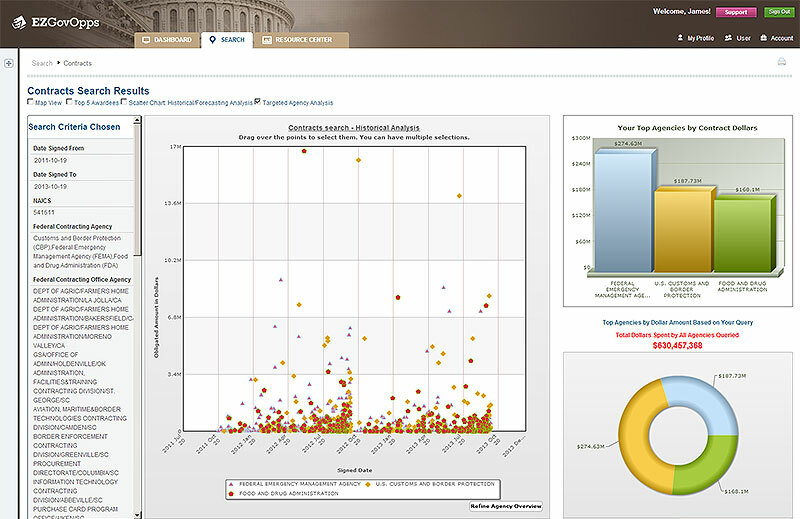 Drive historical/forecasting analysis for multiple agencies/offices at once to allow a strategic focus on what agencies purchase what you do. 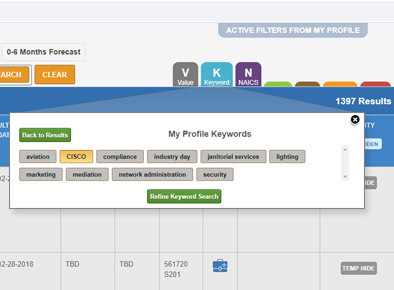 Personalize your custom dashboard and filter by your personalized profile criteria including keywords. 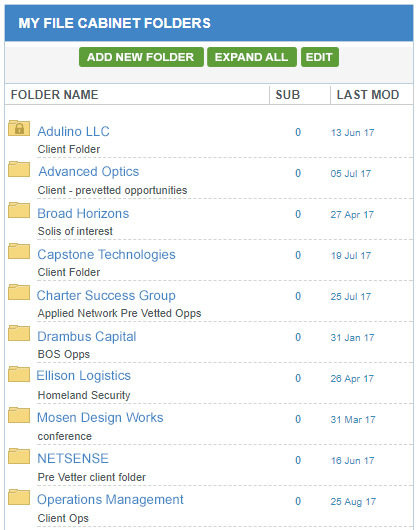 View matched solicitations, file cabinet items, search history, saved searches, your most recent workspaces right from your dashboard. 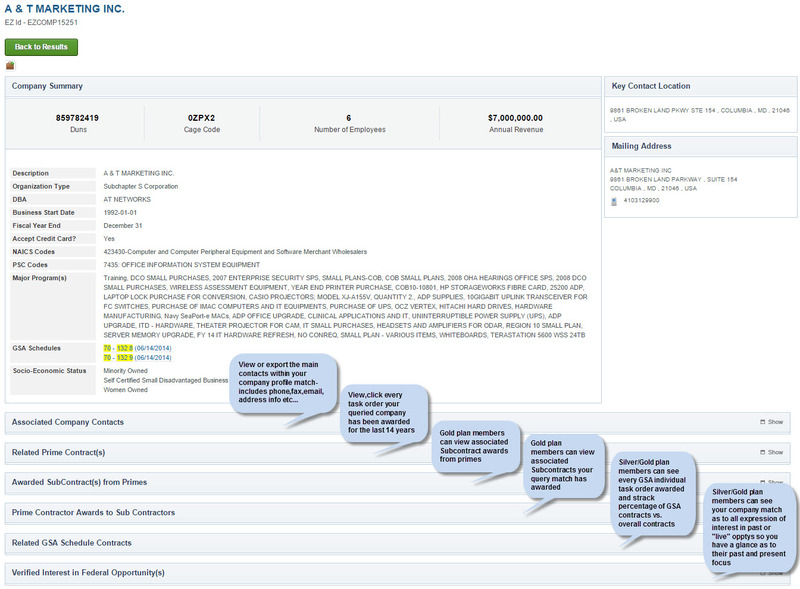 In one glance you can access a detailed overview of an opportunity, access key contacts, and quickly evaluate if it is a good match for your company. Let the powerful My Profile module within EZGovOpps do the heavy lifting for your company. 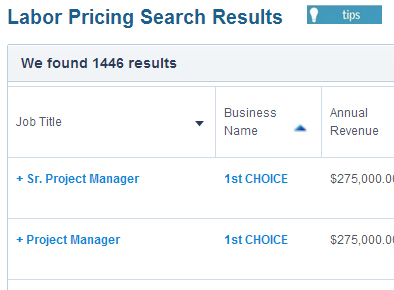 Get matched solicitations daily by setting up your own custom search criteria. 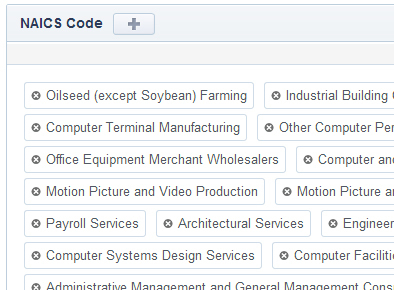 Choose the keywords, agencies, NAICS, PSC codes that match your business interests. 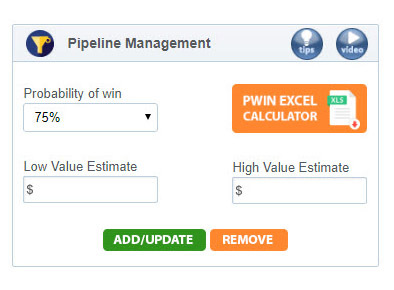 The Pwin Calculator for Platinum subscribers is an opportunity analysis decision matrix to help your business development team establish and use a vetted, consistent and disciplined approach to determining objectively which opportunities your company should pursue. It can be customized to reflect your company’s philosophy, risk tolerance and strategic objectives. 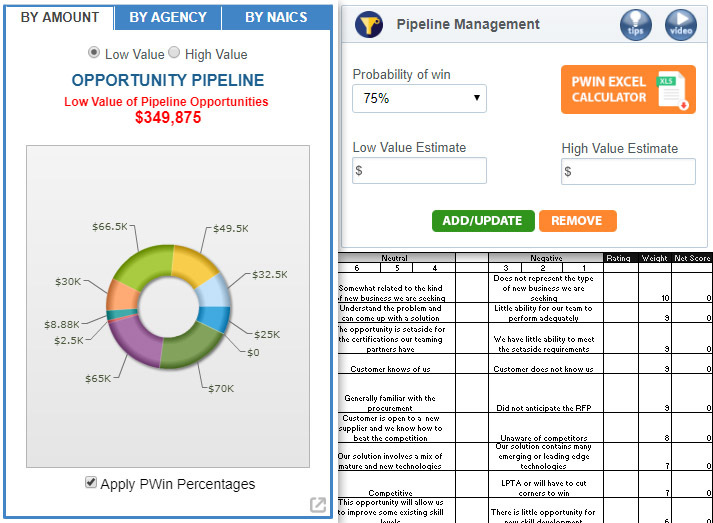 The Pwin Calculator is an opportunity analysis decision matrix that helps BD teams establish and use a vetted approach to determining objectively which opportunities a company should pursue. It can be customized to reflect a company’s philosophy, risk tolerance and strategic objectives. Read more. 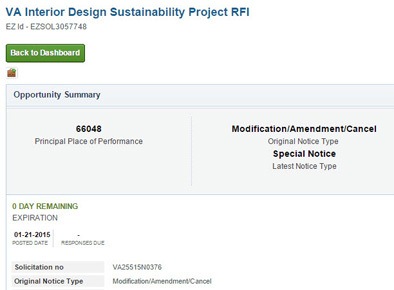 The File Cabinet allows solo or joint workflow for the assignment of priority levels, custom tags, management of mod alerts and team members, and importing opportunities from other platforms/sources, offering one cohesive environment for organizing and tracking opportunities. 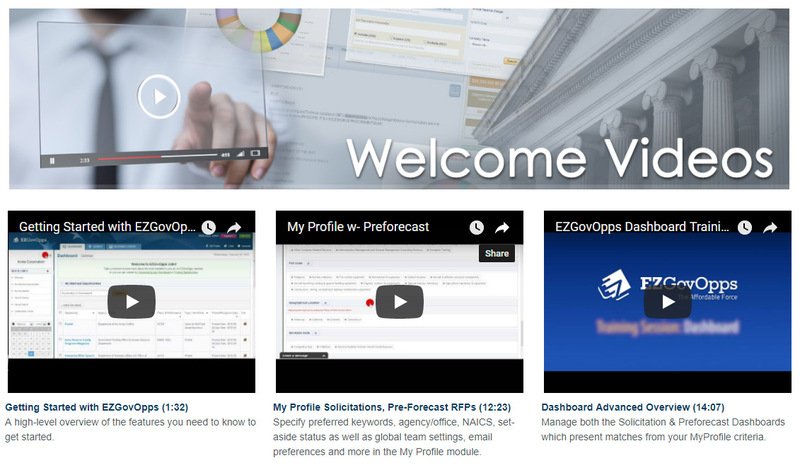 Members can see their dashboard populate "live" by selecting their criteria in the Pre-forecast My Profile. 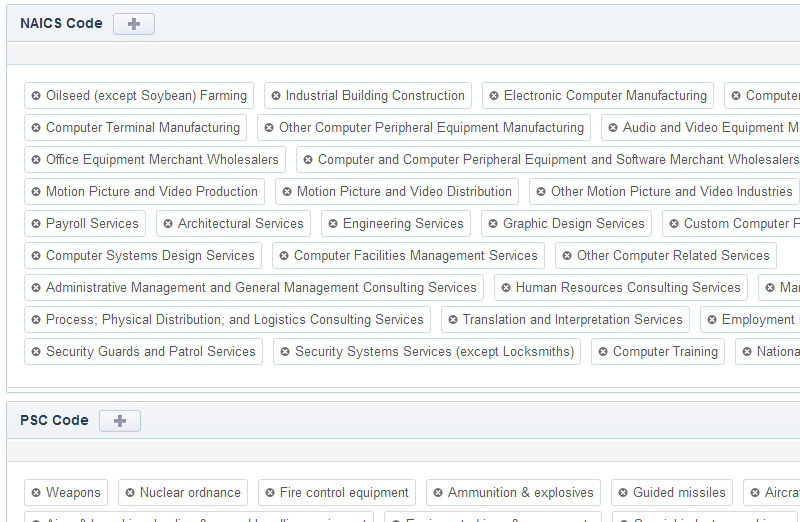 Within My Profile, a user can specify contract value range, alert timeframes, keywords, NAICS codes, agency, set-asides, and many other criteria. 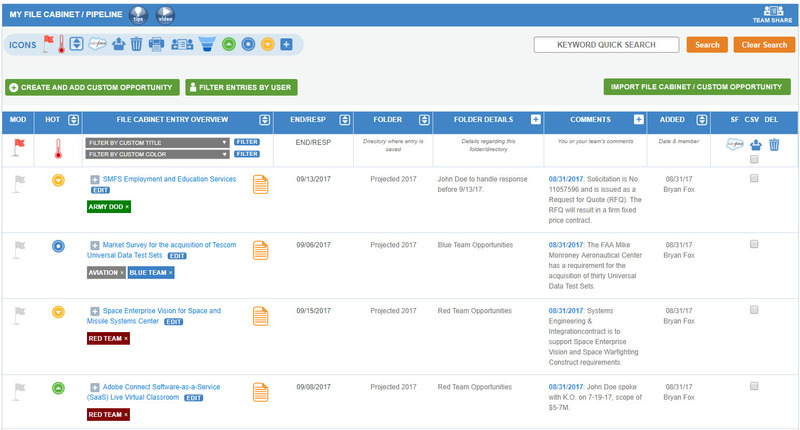 A consolidated view of your proposal center allows you to mitigate issues and challenges before they occur and stay informed on upcoming due dates. 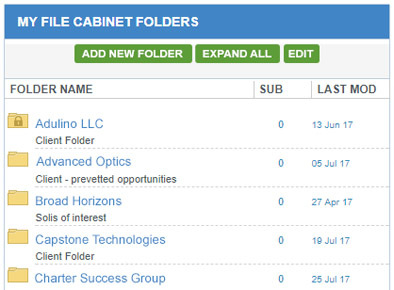 The File Cabinet helps you stay on top of the information you need. 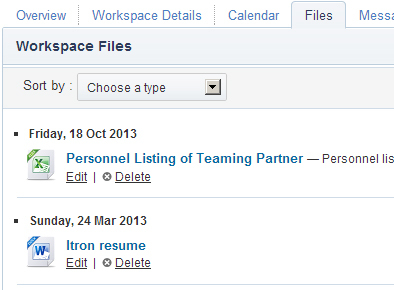 Define work flows by categorizing related opportunities and contacts. 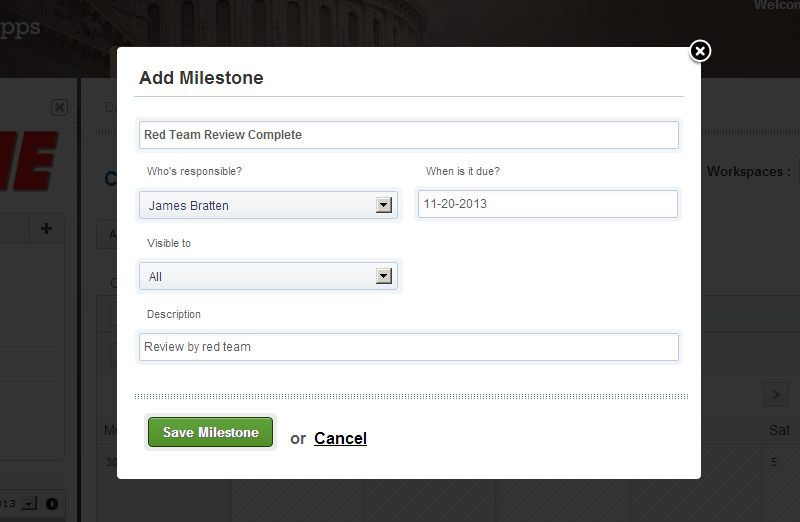 Keep everyone on schedule with tools that help you deliver on-time. 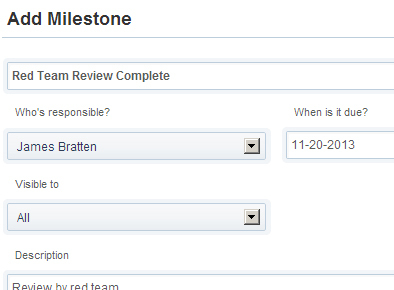 Assign tasks and milestones to help your team stay on track and prepare for fast approaching deadlines. 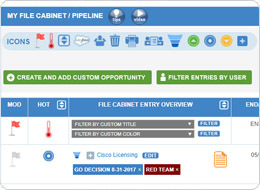 Create or import any custom commercial/state/local opportunity into your team's shared file cabinet and pipeline management platform. 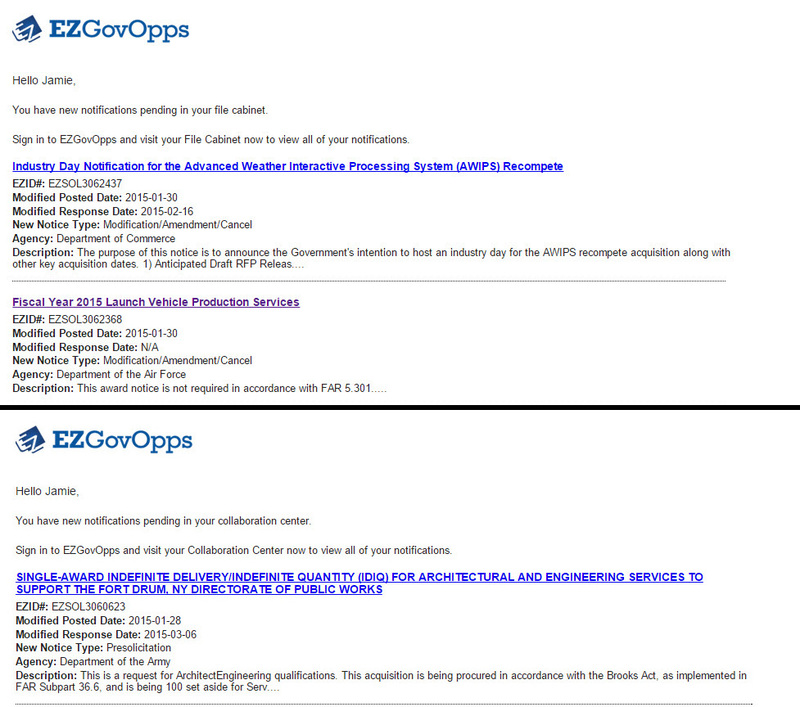 In addition, these opportunities can be added to the EZGovOpps proposal management platform: the Collaboration Suite. 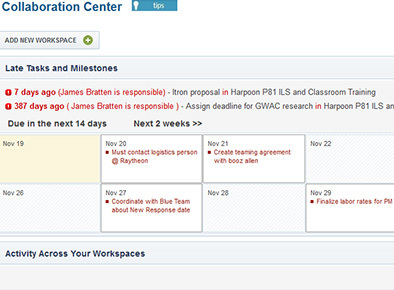 Monitor milestones, tasks, files, and discussions that are created in the Collaboration Center. 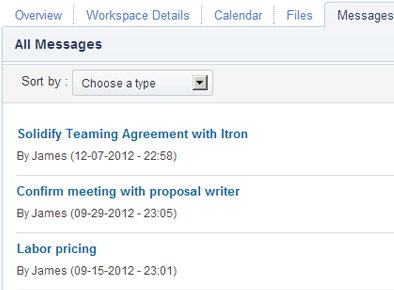 Create a separate workspace and track each task order or proposal related event from beginning to end-all in one place. You can even set unique permissions for each workspace so you have the ultimate control of who can see what. Two heads are better than one, and with EZGovOpps we have made it flexible to add even more. 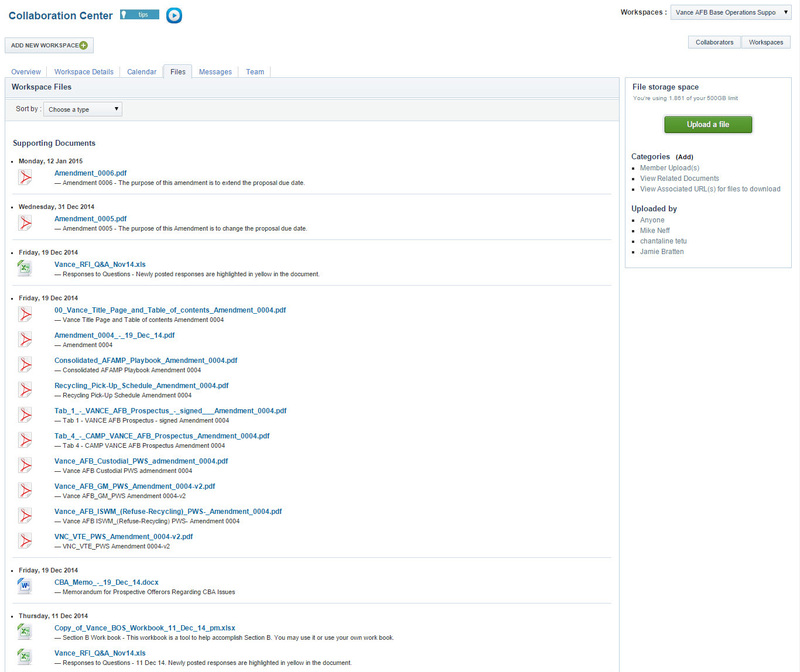 Our self-service portal makes it easy for you to manage user accounts, and invite more team members. Sending important communications via email can cause critical information to be overlooked if it becomes buried in the recipient's inbox. 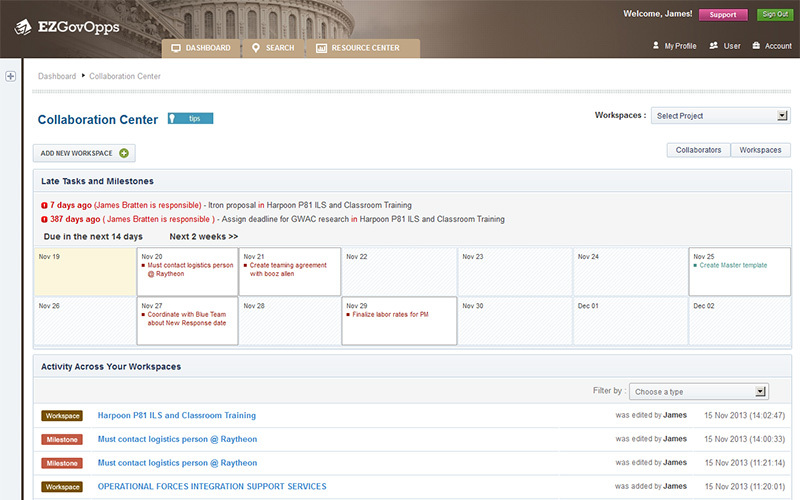 Use the EZGovOpps platform to keep everyone on the same page with open discussions and never miss important proposal-related communication again. 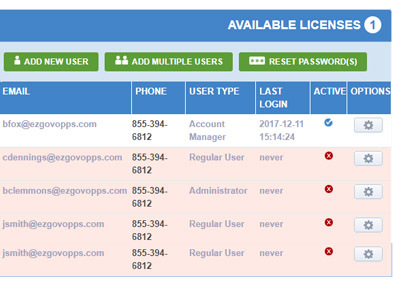 Keep your documents safe and organized; EZGovOpps secures your files using modern encryption methods to transfer and store your data, Files are transmitted over Secure Sockets Layer (SSL) and AES-256 Bit encryption, one of the highest in the industry. Your files are stored securely on Amazon's Simple Storage Service (S3) and backed-up on a daily basis. 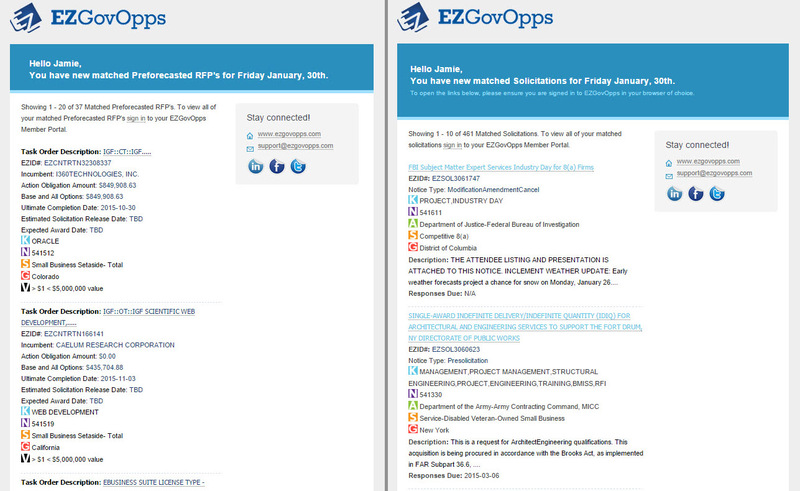 It's easy to see why EZGovOpps is the leader in comprehensive and affordable market intel. 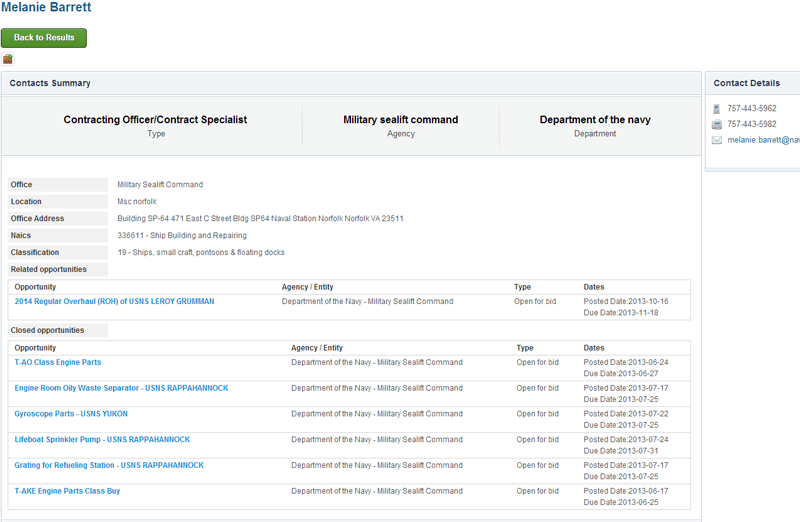 Search SDVOSB's and VOSB's that are CVE certified by VetBiz and the Veterans Administration. Disclaimer: The comparison presented is based on publicly available competitor information. We are committed to providing current and relevant comparative information; however, service providers may change pricing and available features at any time. We accordingly make no representations with respect to the accuracy or validity of the information, but merely provide it for comparison purposes.